This is an easy, quick recipe that requires no special skills or equipment. All you need are 3 simple ingredients; Coconut oil, shea butter, and cocoa butter. Once you melt all the ingredients and mix them together, you'll stick it in the fridge for about 30-45 minutes, then whip it with a hand mixer to get a nice fluffy consistency. Depending on the season and how warm it is in the house, the finished texture can range from a semi-solid texture during the cooler months, and more of a fluffy whipped frosting-like texture during the summer. I love this recipe because it is sooooo multi-purpose. You can use it by itself and apply it heavily as a face mask, or you can use a dab of it as a nighttime moisturizer. It's perfect for really dry skin, especially during the winter months when elbows and feet get dried out from constantly wearing long sleeves and socks. There are tons of ways to use this body butter and I'll list my favorites at the end of the pictorial. 1. Melt all 3 ingredients using a double boiler, or the method shown below. Take care not to overheat. 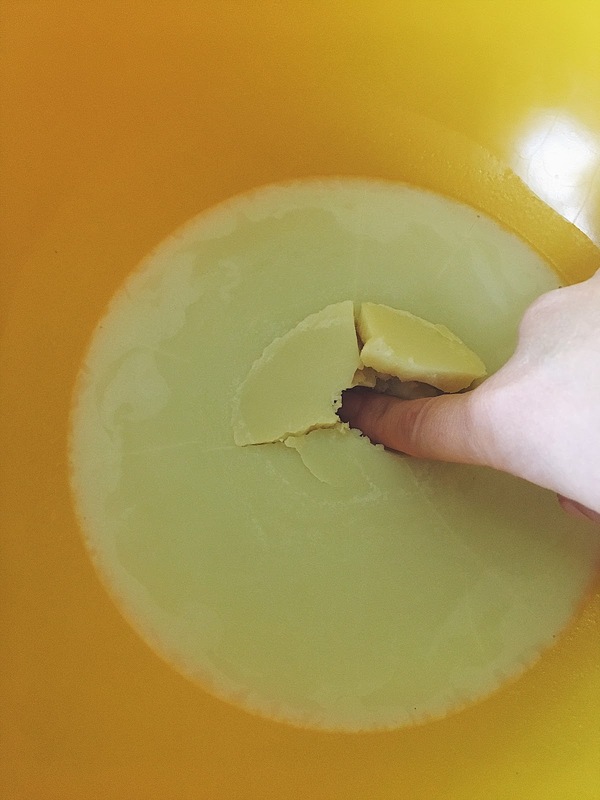 Use just enough heat to melt the butters. Do not add essential oils yet. 3. Mix semi-solid ingredients on medium speed for 30-60 seconds, scraping sides of bowl to loosen everything up. Add essential oils if desired. It starts with quality ingredients. I try to find them in bulk to avoid plastic packaging. But even the shea butter I found is in a plastic tub. It's a nice container though, so I plan to re-use it when it's empty. If you have a whole foods or a co-op nearby, or even a nutrition center or natural foods store, those are your best bet for finding these items. But if you live in the middle of nowhere, like I used to, you may be better off ordering online. 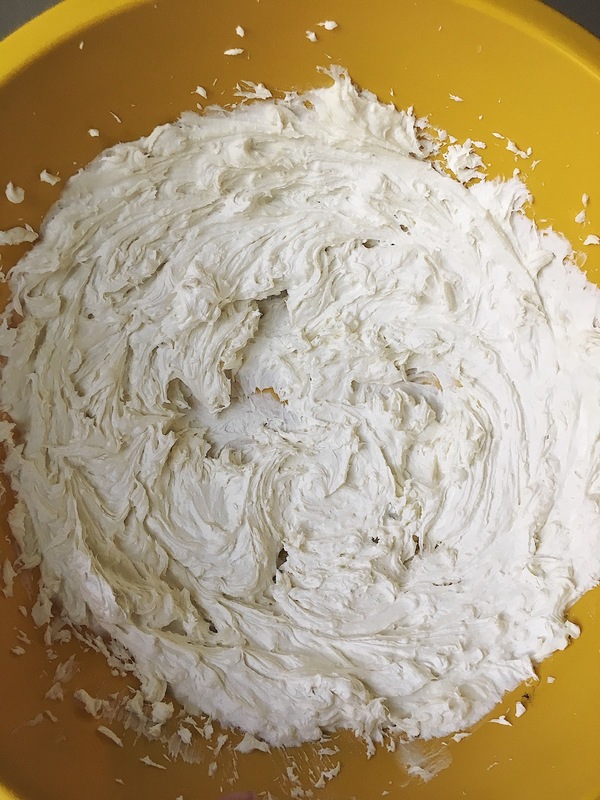 For this recipe, you only need 1/4 cup of each ingredient to make approximately 8 oz of body butter. I buy my cocoa butter in bulk at the Boise Co-Op at The Village, in Meridian. It comes in "pearls" sort of like little white chocolate chips. Bulk form is package-free, but you can also find it in blocks or sticks. If you buy it in a block or stick, just make sure to grate it up, shave it, or cut it into small pieces before starting, to speed up the melting time. 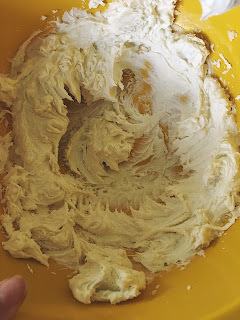 To make the body butter, all you need are equal parts of the 3 main ingredients, a mixing bowl, something to melt your ingredients in, (see below) and a hand mixer. A spatula and a small spoon are helpful also. Optionally, you can add in essential oils for fragrance, but this is not necessary. 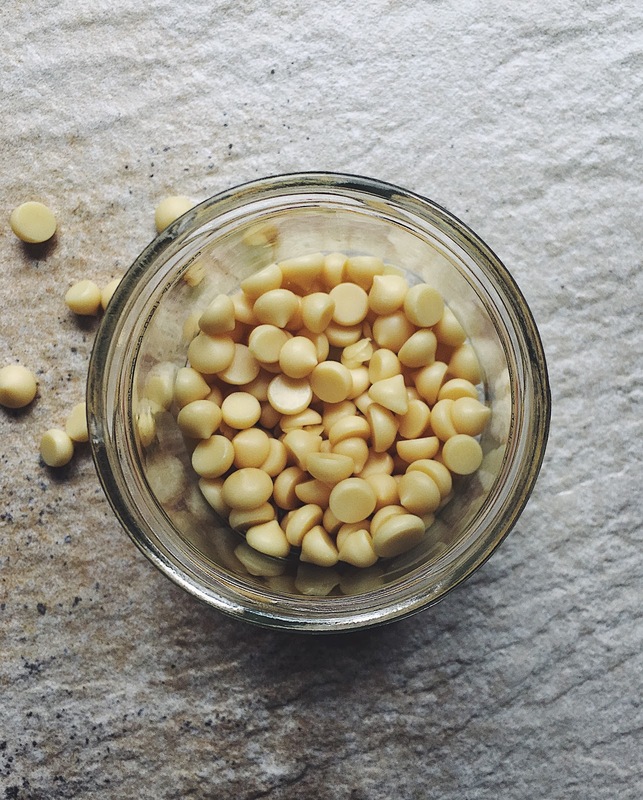 My favorite oil to use is cacao essential oil for a nice rich chocolate aroma. 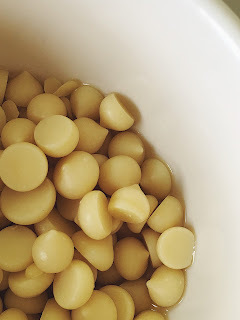 Vanilla is another good one, because the cocoa butter already has a light chocolatey scent on it's own, and the two fragrances compliment each other nicely. For this recipe, I will be using cacao, but you can replace that step with the oil of your liking, or omit it all together. First, you'll melt down your solids. I like to use a double boiler if I'm in a hurry, but you can also use two bowls and some hot water. If you have a double boiler and know how to use it, do that. Keep in mind you do NOT need to boil the water, just get it hot. 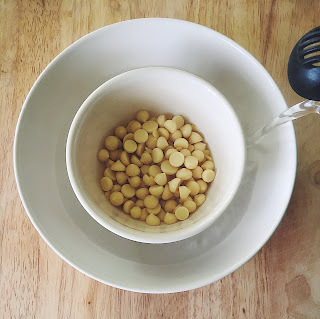 For the purpose of showing an alternative method for people who may not have access to a double boiler, I've done this recipe using a kettle of hot water, and two bowls. 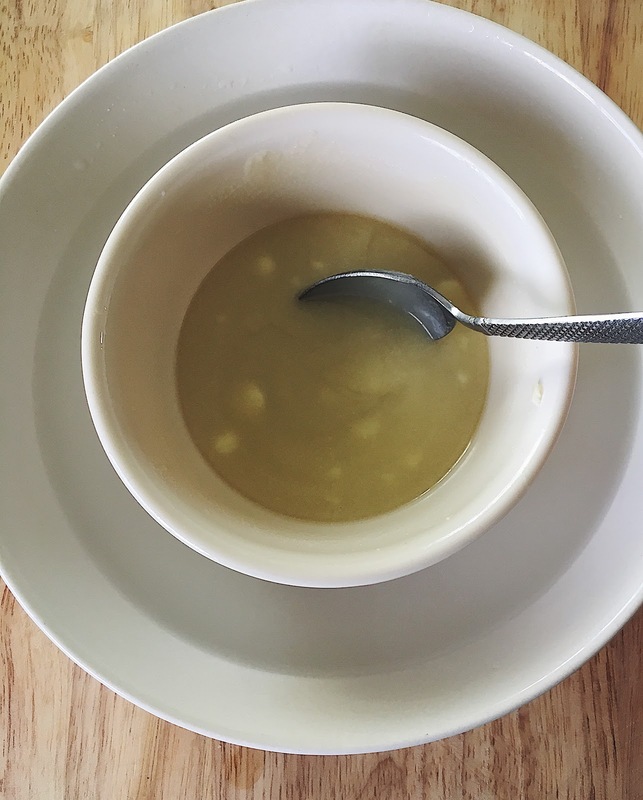 The smaller bowl sits inside the larger one, and when the outer bowl is filled with hot water, it heats up the ingredients in the smaller bowl. This is often my preferred method, because it's very relaxed and I can walk away from the project while the ingredients sit in the bowl. I don't have to worry about supervising something on the stove, which makes it easy to multi-task and do mom stuff, and I don't have to stir a pot every 5 seconds. One other option if you were to make a very large batch would be to use a small crock pot. Microwaving is not recommended. 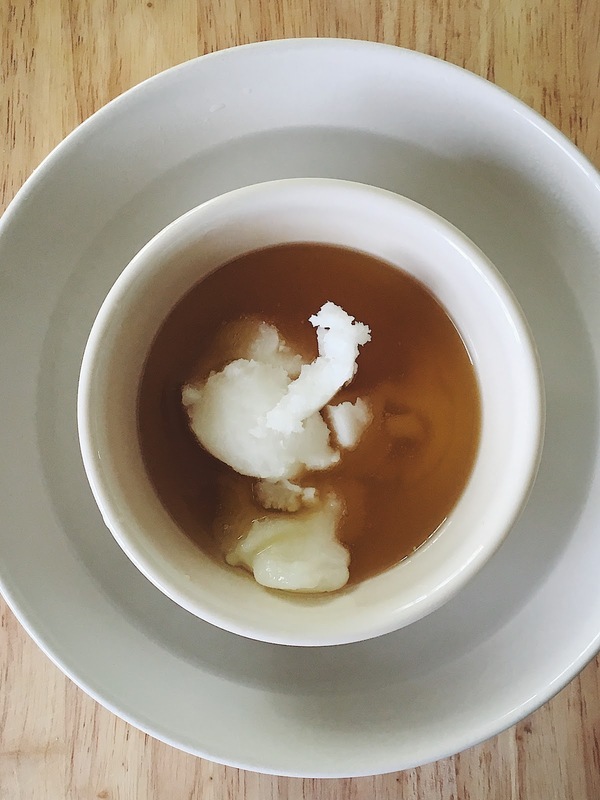 To melt your ingredients without a double boiler, use the following method. It's really easy. Place a kettle full of water on the stove and turn it on high. While you wait for that to heat up, get a shallow, heat safe dish, like a ceramic bowl, small pot, or baking dish, and place that on the counter. This will be your outer bowl. For the inner bowl, you need it a bit smaller than the outer one, it must be heat safe, and preferably have thin sides. Too thick of sides will make the process take longer. Cocoa butter pearls, ready to get melting! Pour hot water from the stove into the outer bowl. Be very careful not to get any drops of water into the inner bowl. If it's easier for you, remove the inner bowl while your pour an inch or two of water into the larger bowl, then place the small bowl in the hot water. 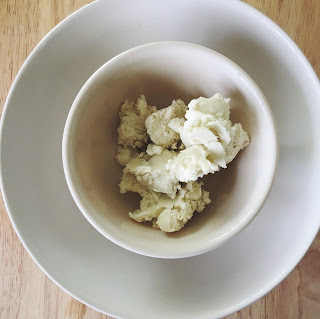 Once your cocoa butter has turned completely to liquid, you can pour it into the mixing bowl, or add your next ingredient, if there is enough room in the bowl. I had a little room so I just added my coconut oil. 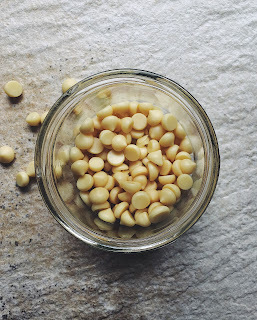 If using a double boiler or a bigger pot, you can put all three ingredients in together from the very beginning. 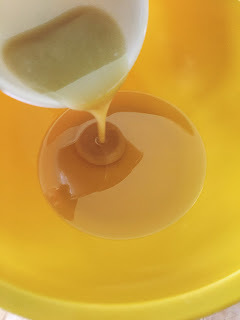 Keep melting all of your ingredients until they are liquid, then pour them into a mixing bowl. If the water in your outer bowl cools off, replace it with more hot water. 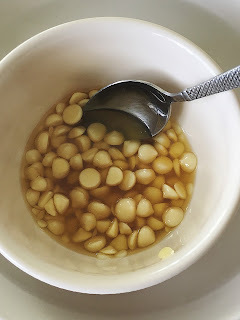 Once all three ingredients are melted and poured into the mixing bowl, lightly stir them to combine everything, and place the bowl in the fridge for 30-45 minutes. Check the bowl after 30 minutes, then check every 5 mins after that. You want the mixture to solidify a bit, but not be hard as a rock. Don't leave it in the fridge too long without checking it. Solidified mixture, ready to go, press on it with your finger, it should leave a hole but not reveal liquid underneath. Slightly softer mixture will create a fluffier end result. I like mine to be on the firmer side. If you think your mixture got too cold, set it on the counter for a while to warm up to room temperature and check it again. Next, mix with a hand mixer for 30 seconds. Scrape the sides with a spatula and mix another 30 seconds. This first step is just to loosen everything up. My mixture after mixing for about a minute on medium speed, scraping the sides halfway through. At this point, if you are going to add essential oils, add them, and stir them in with a spatula. I used 15 drops of cacao oil in a jojoba carrier. 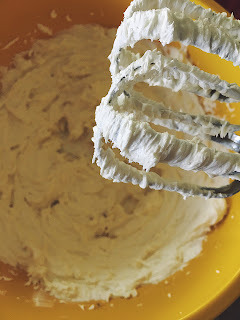 Next, using your mixer on high (or the "whip" setting), whip the body butter until it is nice and fluffy. 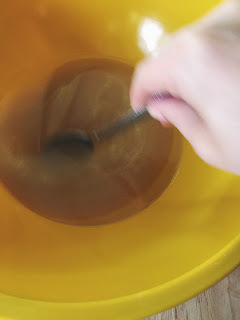 Check for clumps and continue mixing if needed. This step only takes about 2-5 minutes. If your ingredients got cold it may take a bit longer. Room temp ingredients will go quickly. 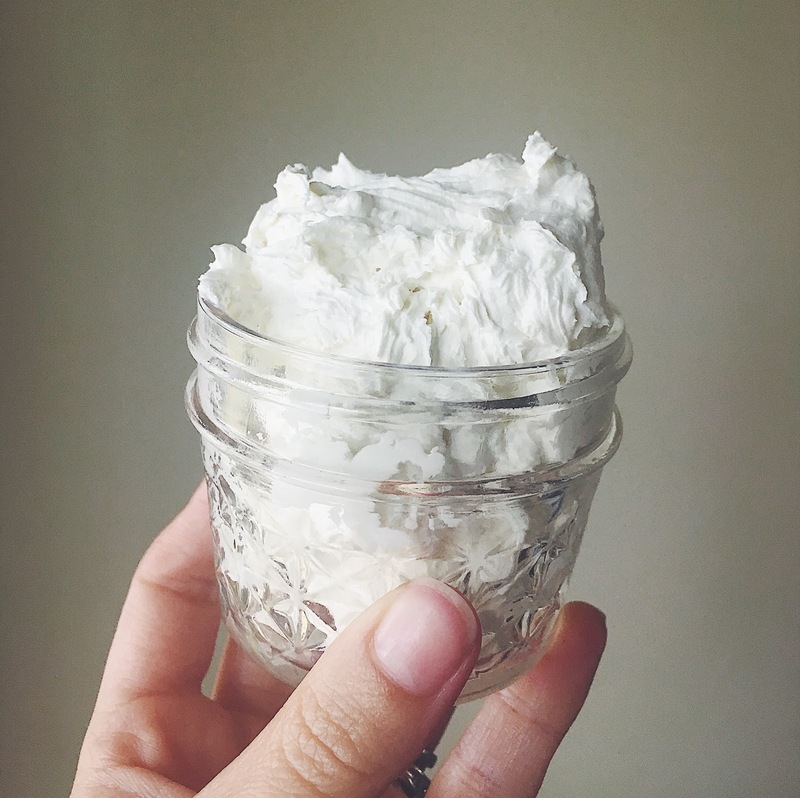 Whipped body butter, ready for the jar! One really great thing about this body butter is if it ever accidentally melts, you can always repeat the refrigerate and mixing process to re-whip it into it's fluffy texture. I have left mine in a warm car before while traveling and this worked perfectly.